I’ve seen a fair number of well colorized photos in recent years. That colorization does a lot to make the images feel more present, realistic and relatable. It brings them to life even more than black and white moving images. 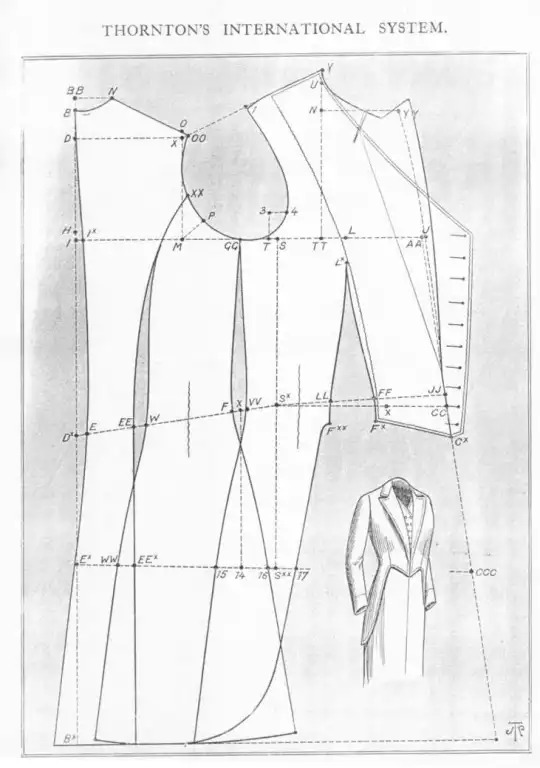 Sewing and wearing costumes is fun, but it turns out I really enjoy researching various historical periods – the clothing, fabrics, notions, reasons hemlines were a certain length or the development of construction methods and what was considered the most up to date. I’ve used a modern pant pattern to match the hip size of my client and altered it based on some wide leg 1970s pants. Actually, I altered it much further than that (Caution: Winging It). The modern pant leg opening was about 35″, the 70s pant about 42″, and as you can see, the desired effect is much wider. I suspect at least 60″, if not more. To keep from piecing the fabric, should we go cotton, I couldn’t go too crazy. I’ve mapped it out to about 60-64″ opening on 3.11 yards on 54″ linen. We’ll see. 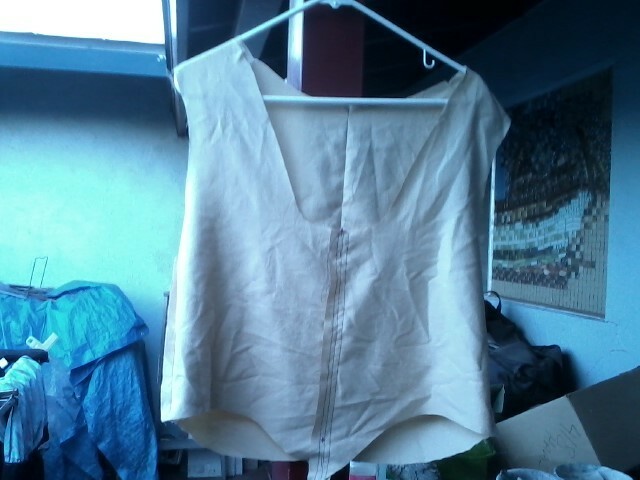 My current plan for the top is to drape it on my client, based on the general size of a jacket I made her previously. What could go wrong there? Next step: the pant mock up, likely in 4 hideous quilting cottons from the stash. I just found a pic of our illustrious Lord Mayor on Ravin’ Mayven‘s Pinterest board for ren costumes. She’s got links to some nice costumes, though not all are Ren or historical. 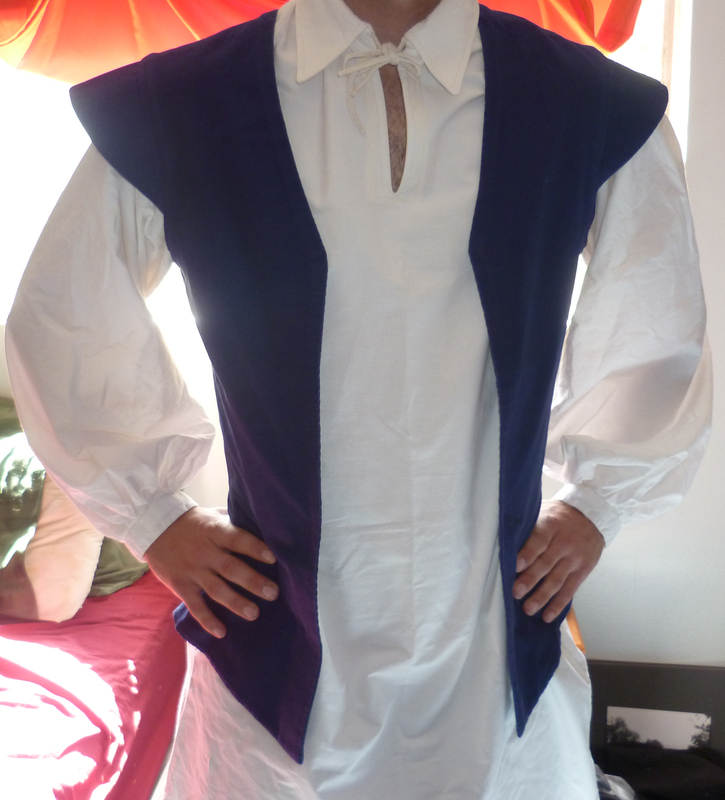 There are a few custom order listings for Ren/Tudor/Snow White costumes, among others. She also links to some other Ren / SCA costume boards that seem to be worth taking a peek at. Thanks to Ravin’ Mayven (and Rachel for originally pulling the pic of our Lord Mayor onto the realm of Pinterest). This summer, our guild recruited two fine young men to join us in our Renaissance Shenanigans. As a result they both need a full costume. These costumes will consist of a shirt, jerkin, and trousers. For the Jerkin I have a copy of the “Easy Peasants / Servants Jerkin”, by Alter Years Patterns. This is a basic pattern, and as the title implies, it is easy. The pieces fit together well. There is no need to trim edges off, because the seam edges were off, or any other funny business. I find these flaws in many more commercial patterns. Once the pieces are all cut out and sewn together, it looks beautifully tailored and finished. There is one thing to keep in mind. Make a mock up. For the two that I have recently finished, I skipped this step. As a result, they do not close all the way in the front. If I had taken the time to make a mock up, for the Medium size, I would have know that the front needed to be adjusted.